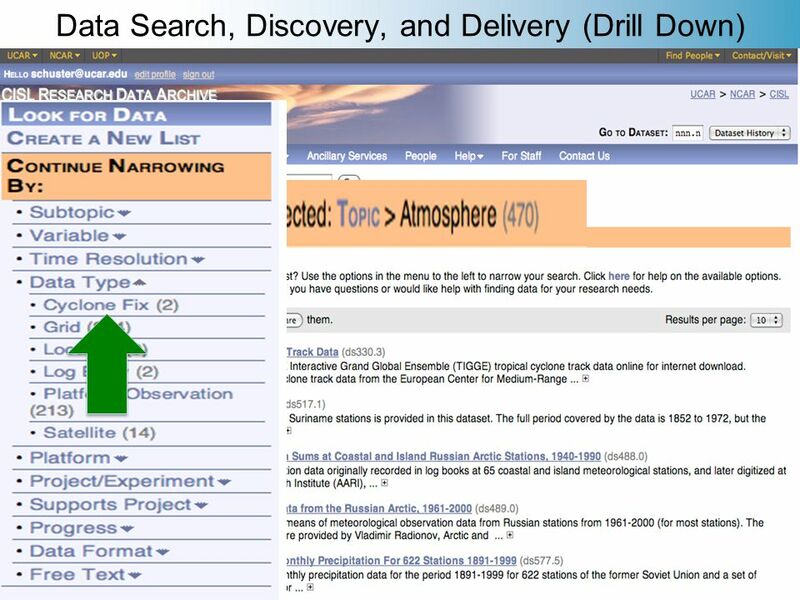 New Resources in the Research Data Archive Doug Schuster. 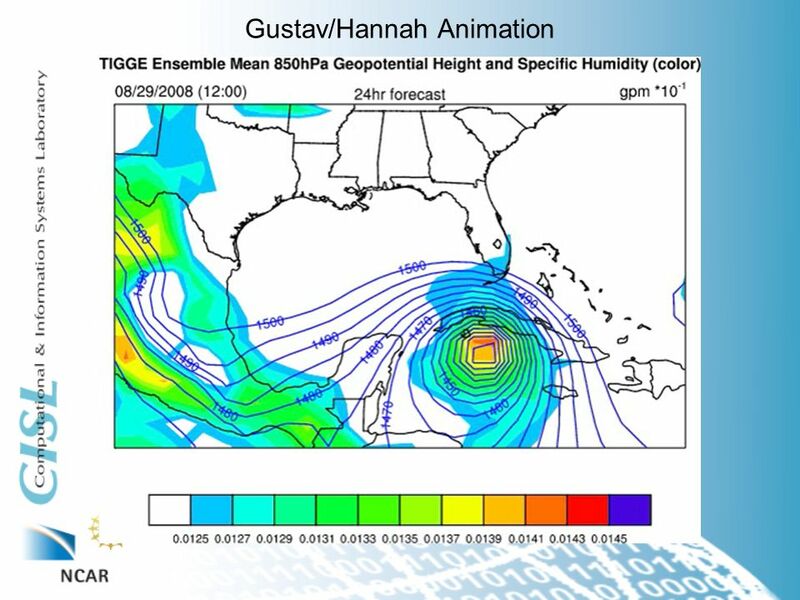 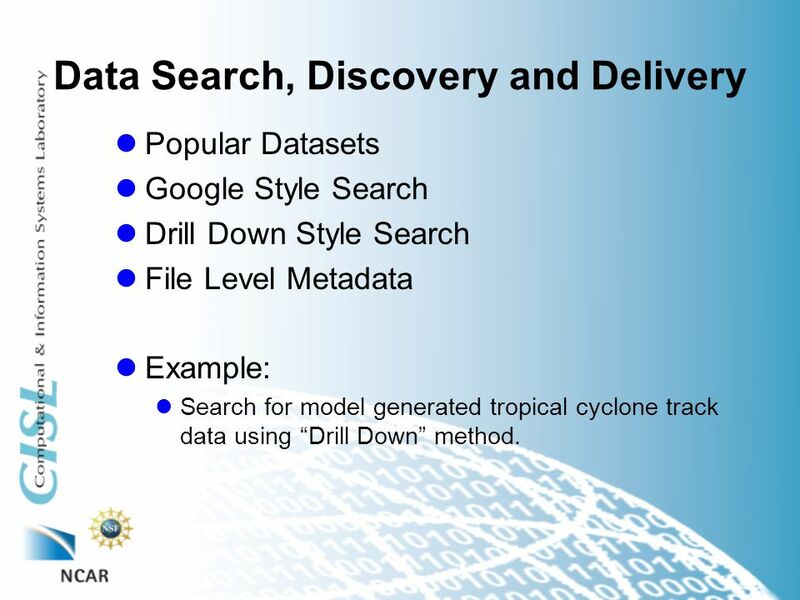 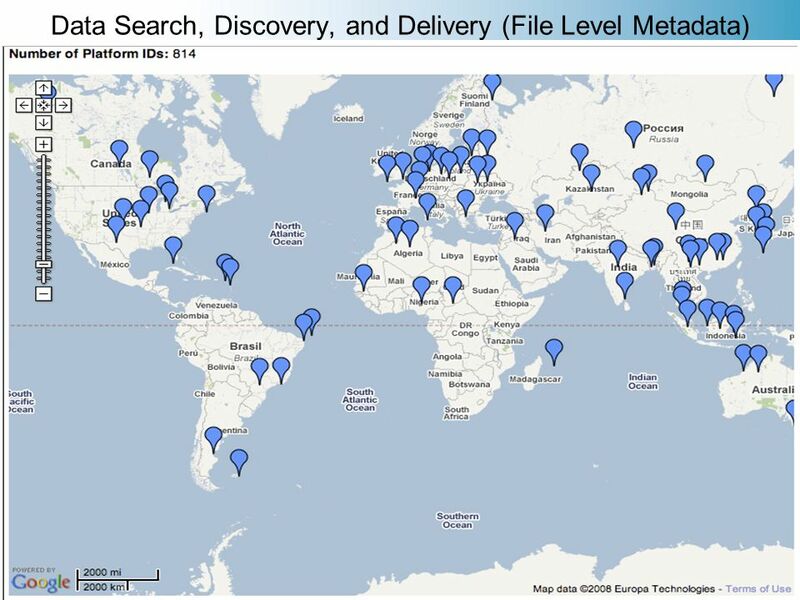 3 Data Search, Discovery and Delivery lPopular Datasets lGoogle Style Search lDrill Down Style Search lFile Level Metadata lExample: lSearch for model generated tropical cyclone track data using “Drill Down” method. 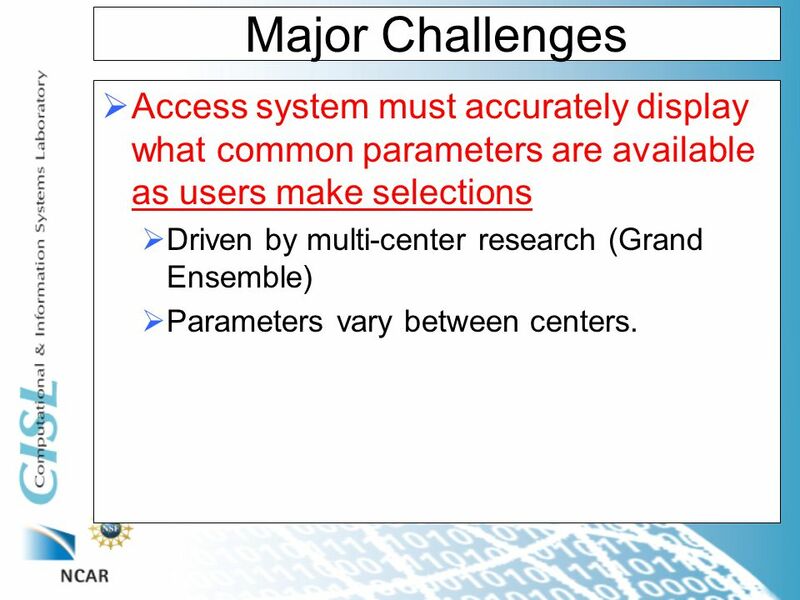 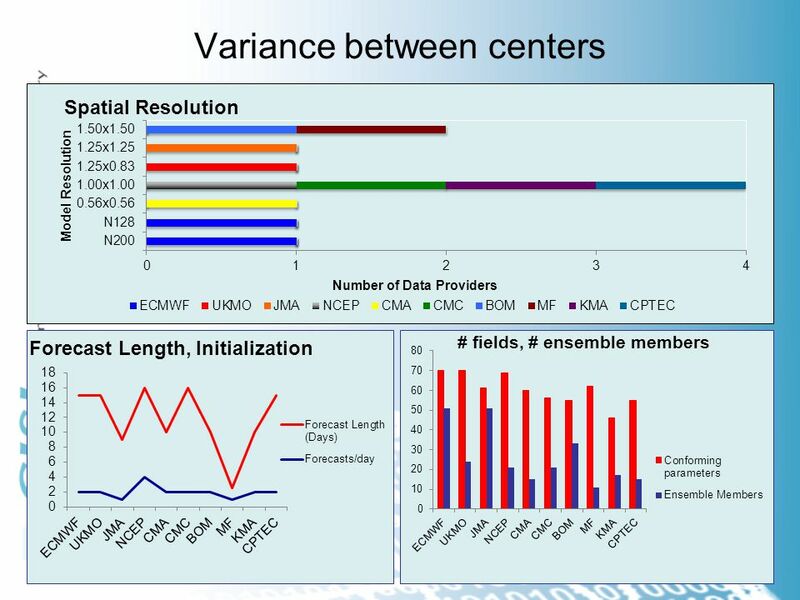 13 Major Challenges  Access system must accurately display what common parameters are available as users make selections  Driven by multi-center research (Grand Ensemble)  Parameters vary between centers. 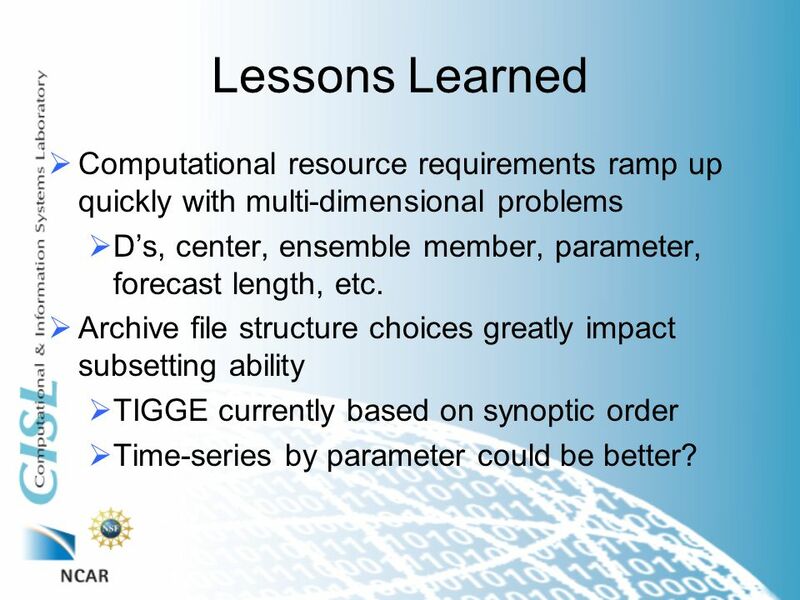 31 Lessons Learned  Computational resource requirements ramp up quickly with multi-dimensional problems  D’s, center, ensemble member, parameter, forecast length, etc. 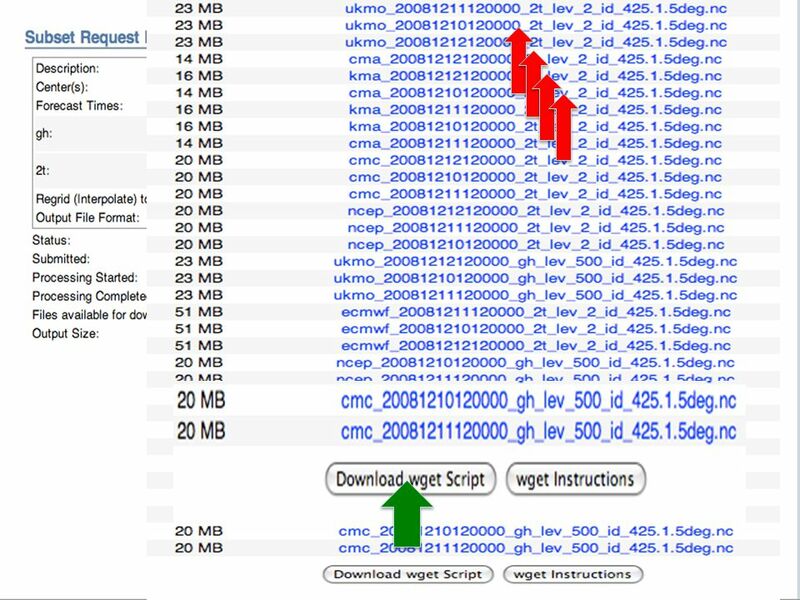  Archive file structure choices greatly impact subsetting ability  TIGGE currently based on synoptic order  Time-series by parameter could be better? 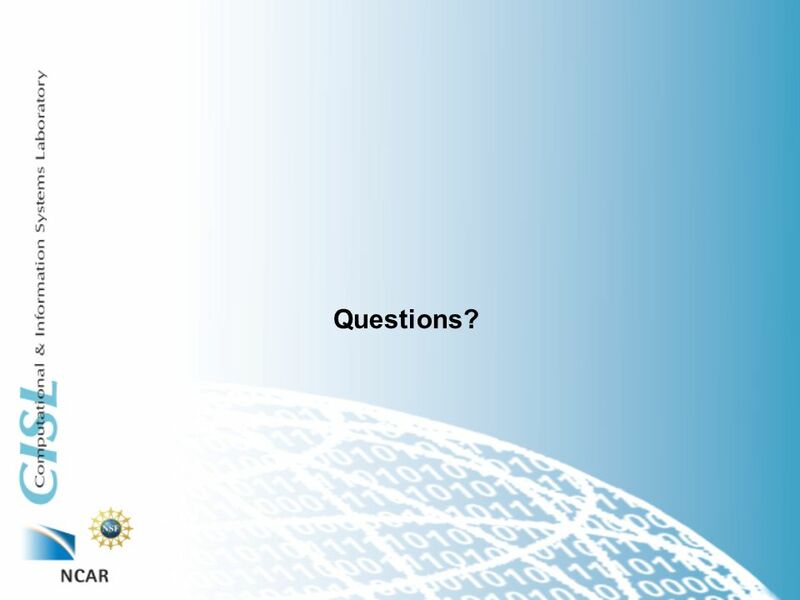 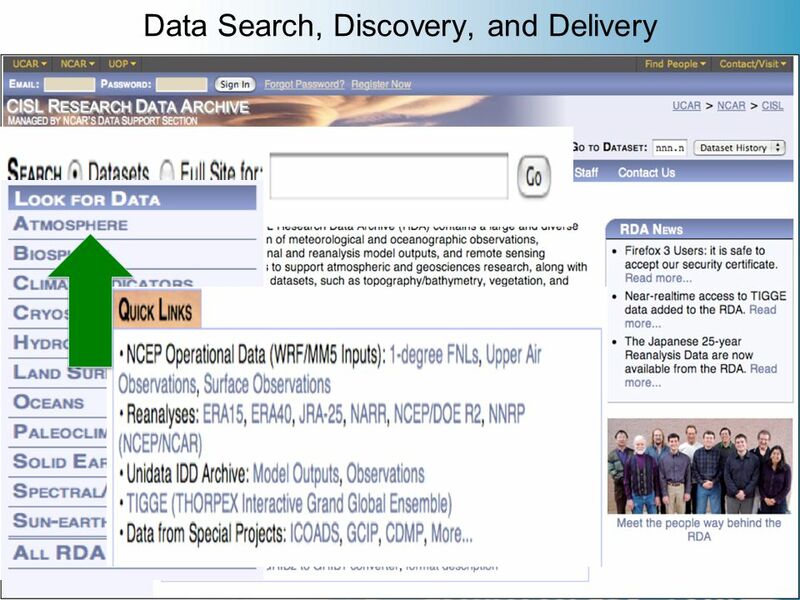 Download ppt "New Resources in the Research Data Archive Doug Schuster." 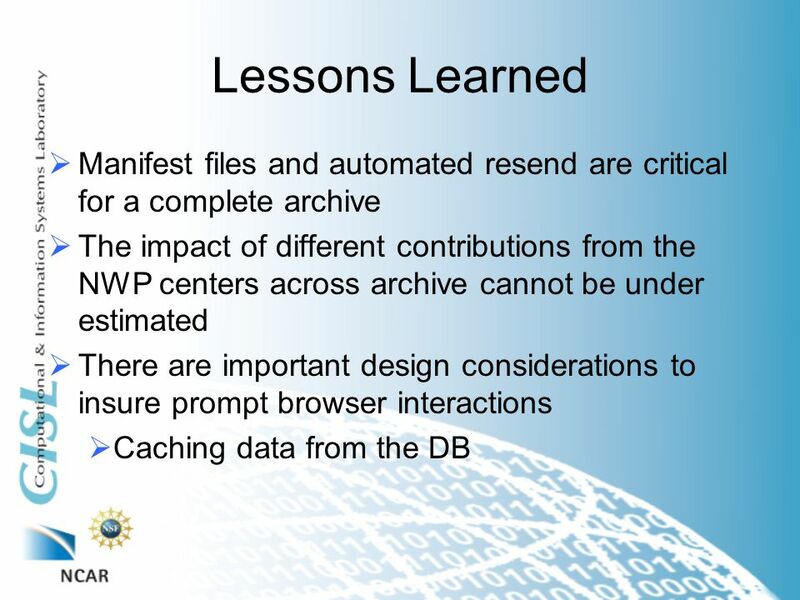 Slide 1 TIGGE-LAM Workshop Bologna Jan TIGGE-LAM: Archiving at ECMWF Manuel Fuentes Data and Services Section ECMWF. 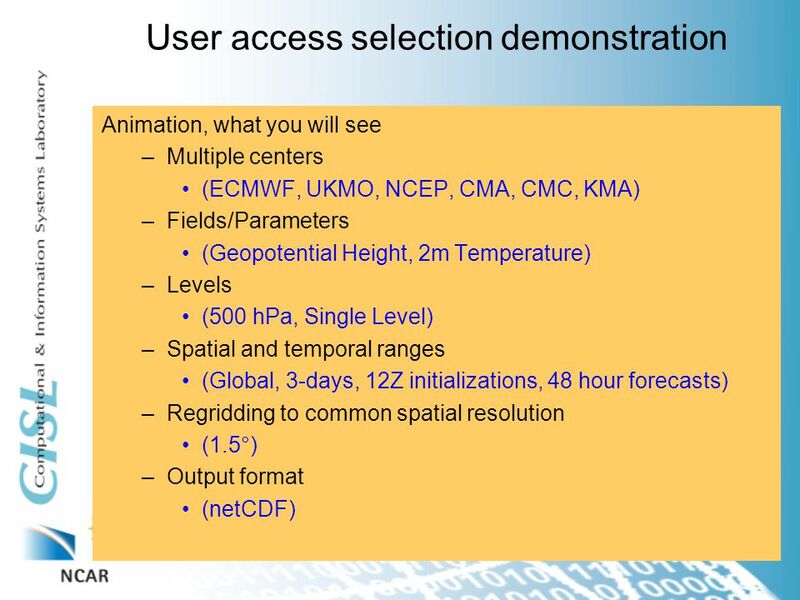 ECMWF June 2006Slide 1 Access to ECMWF data for Research Manuel Fuentes Data and Services Section, ECMWF ECMWF Forecast Products User Meeting. 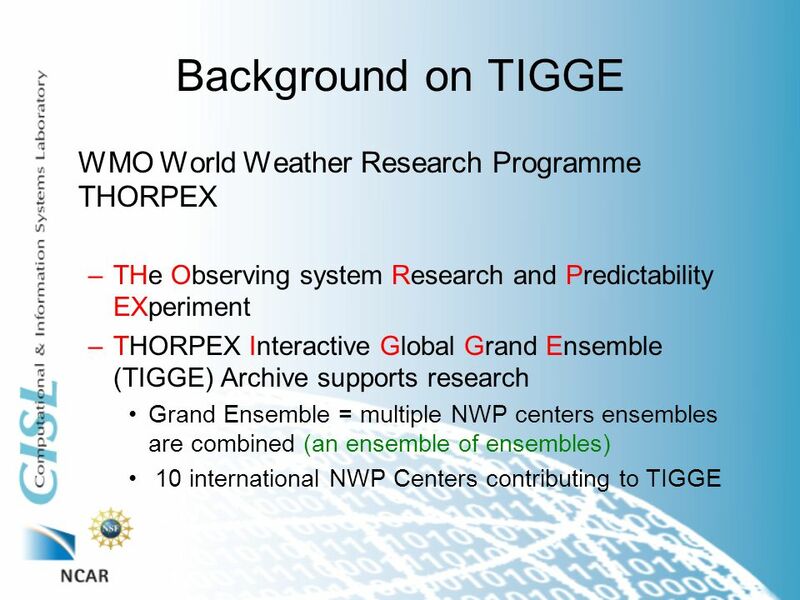 The THORPEX Interactive Grand Global Ensemble (TIGGE) Richard Swinbank, Zoltan Toth and Philippe Bougeault, with thanks to the GIFS-TIGGE working group. 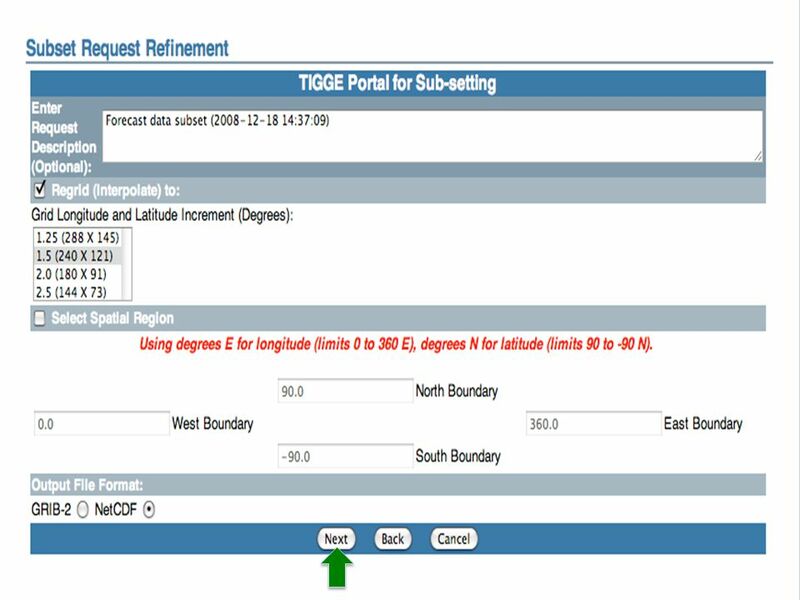 Slide 1 TECO on the WIS, Seoul, 6-8 November 2006 Slide 1 TECO on the WIS: Stakeholder Session THORPEX and TIGGE Walter Zwieflhofer ECMWF. 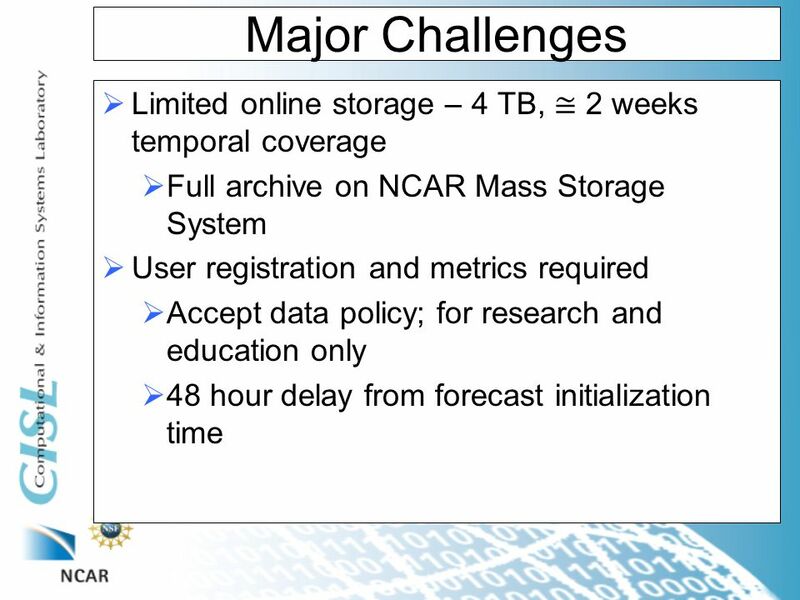 ICOADS Archive Practices at NCAR JCOMM ETMC-III 9-12 February 2010 Steven Worley. 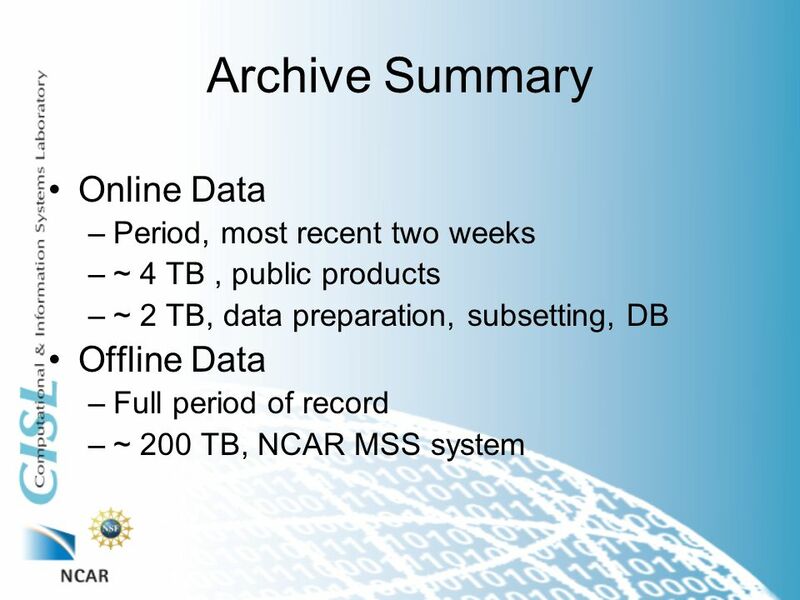 The Research Data Archive at NCAR Doug Schuster and Steve Worley NCAR. 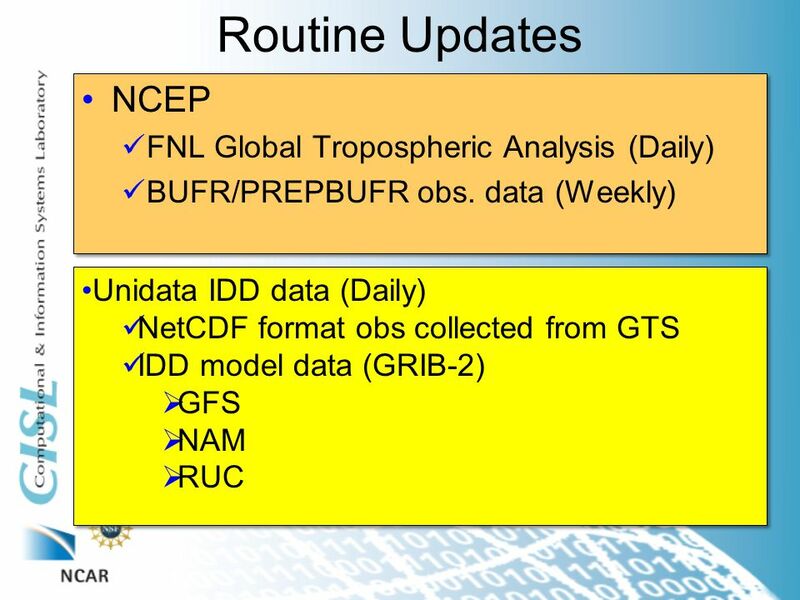 The International Surface Pressure Databank (ISPD) and Twentieth Century Reanalysis at NCAR Thomas Cram - NCAR, Boulder, CO Gilbert Compo & Chesley McColl. 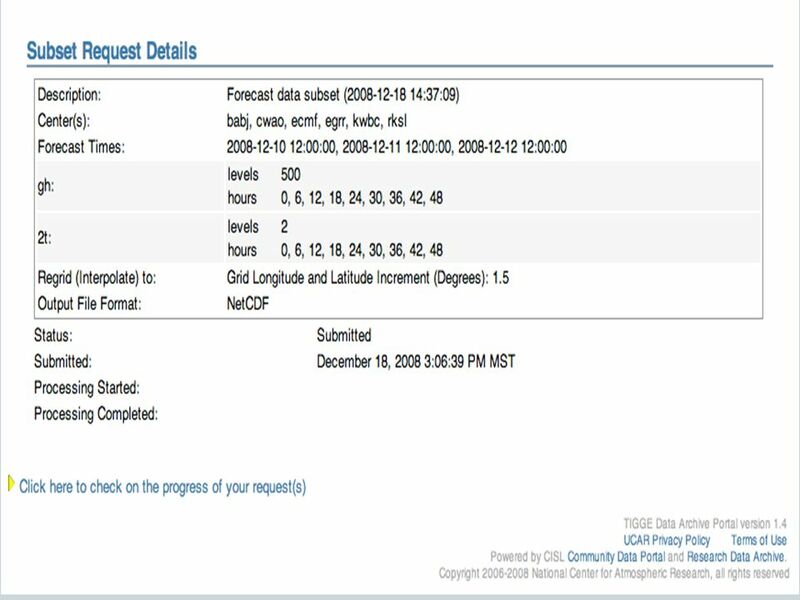 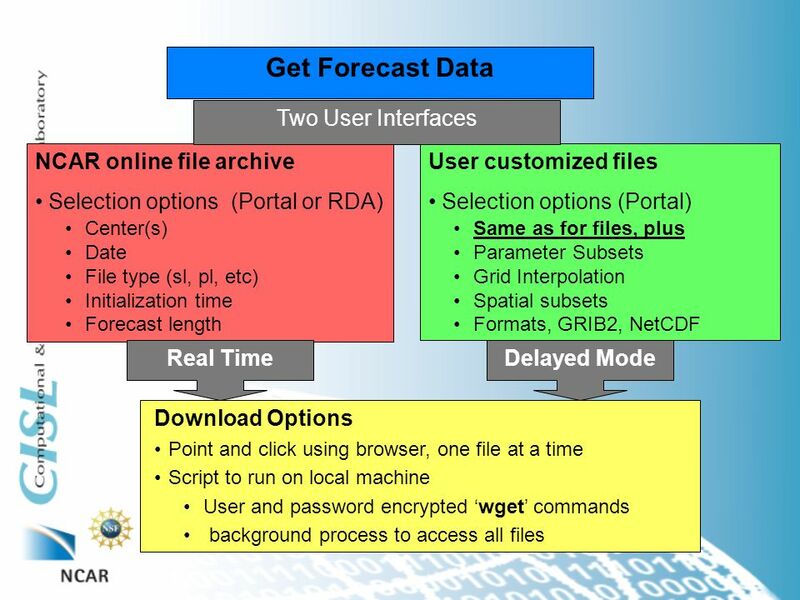 Operational Dataset Update Functionality Included in the NCAR Research Data Archive Management System 1 Zaihua Ji Doug Schuster Steven Worley Computational. 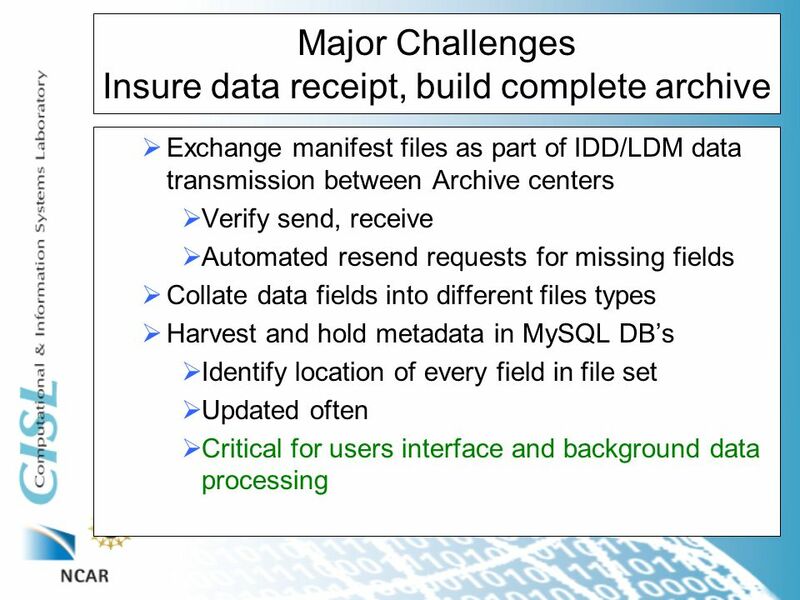 Introduction Downloading and sifting through large volumes of data stored in differing formats can be a time-consuming and sometimes frustrating process. 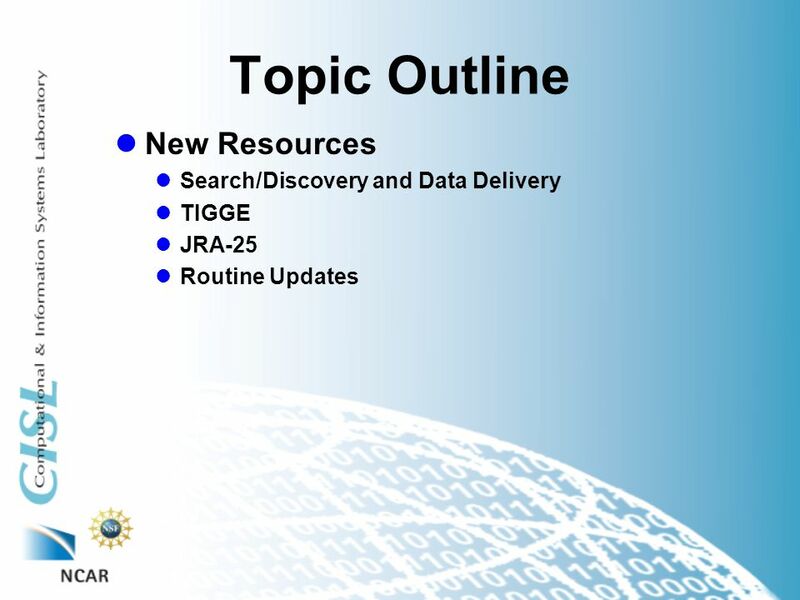 October 16-18, Research Data Set Archives Steven Worley Scientific Computing Division Data Support Section. 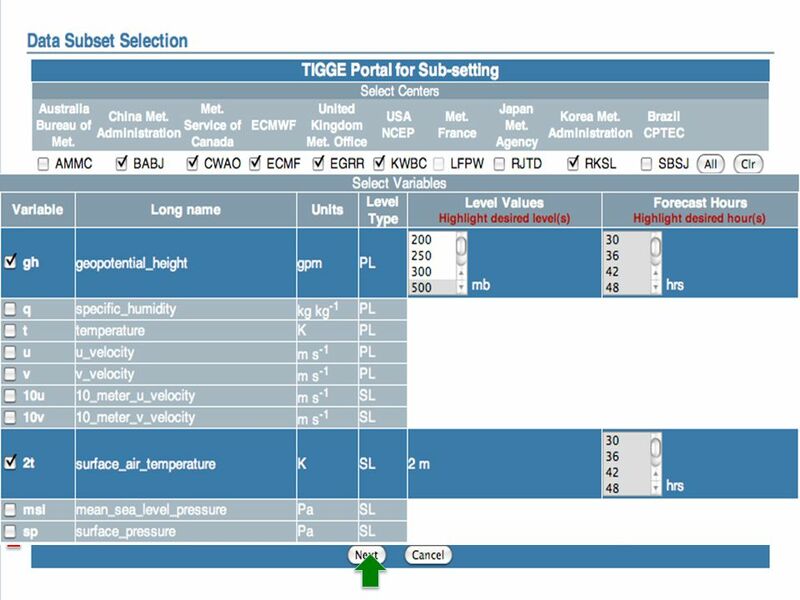 EGU 2011 TIGGE, TIGGE LAM and the GIFS T. Paccagnella (1), D. Richardson (2), D. Schuster(3), R. Swinbank (4), Z. Toth (3), S.
TIGGE Archive Highlights. 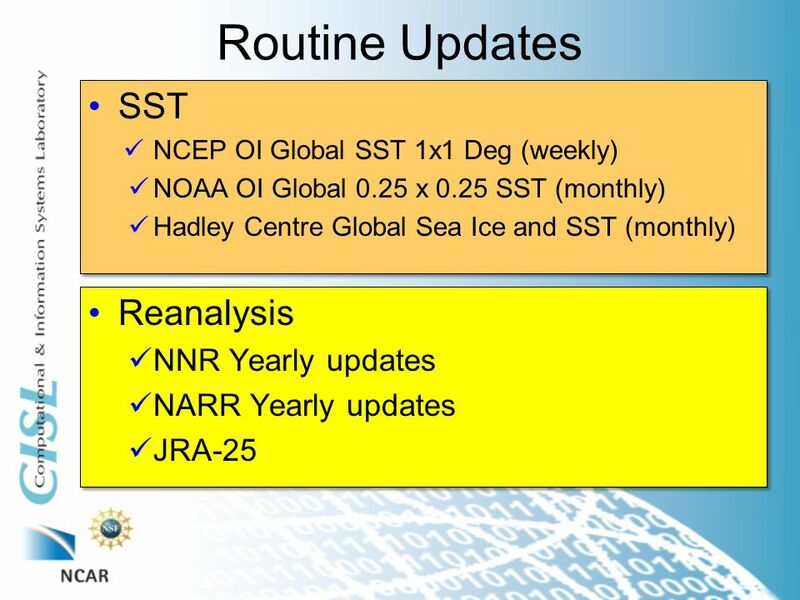 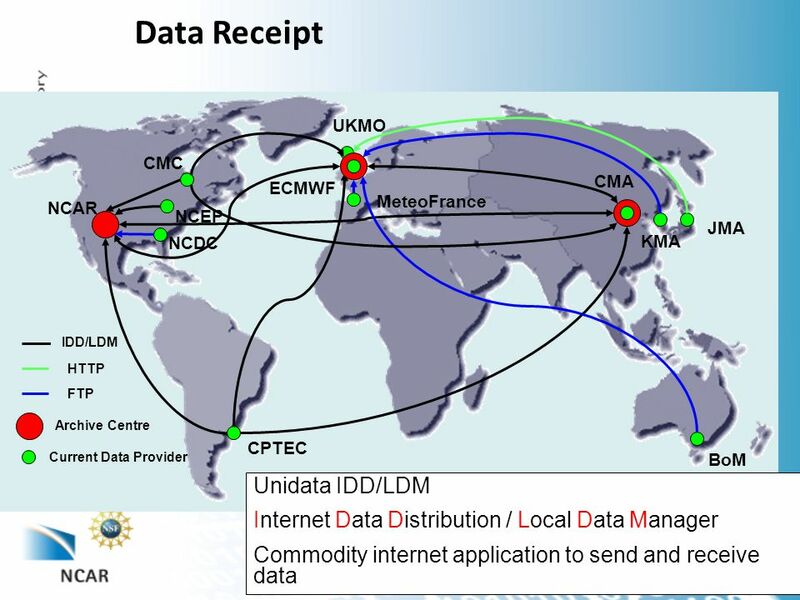 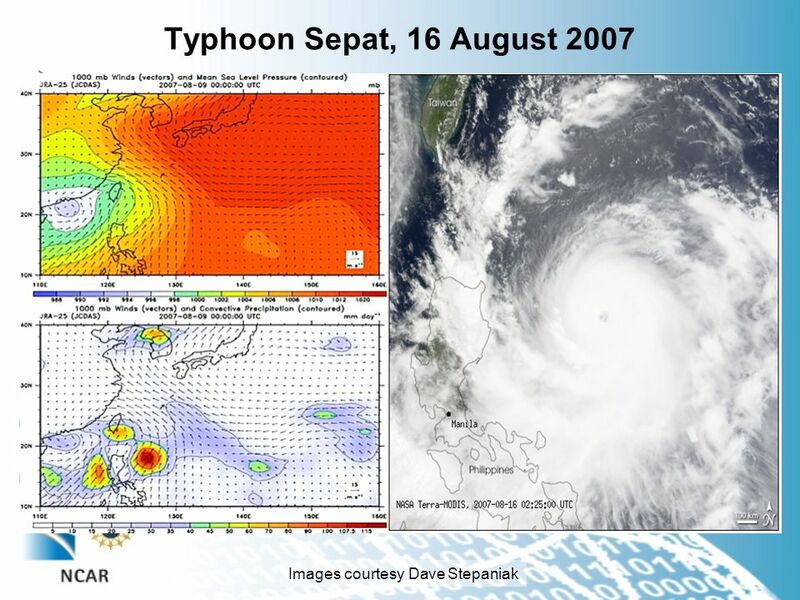 First Service Date ECMWF – October 2006 NCAR – October 2006 CMA – June 2007. 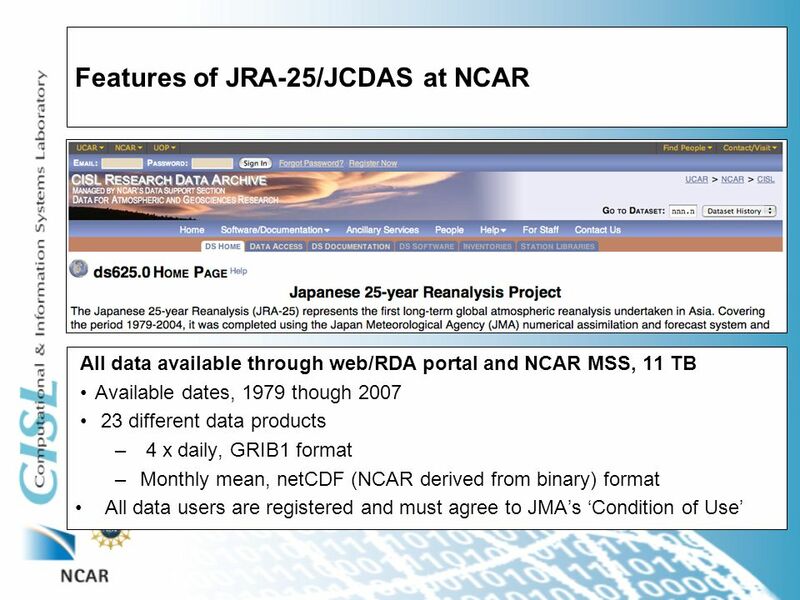 Research Data at NCAR 1 August, 2002 Steven Worley Scientific Computing Division Data Support Section. 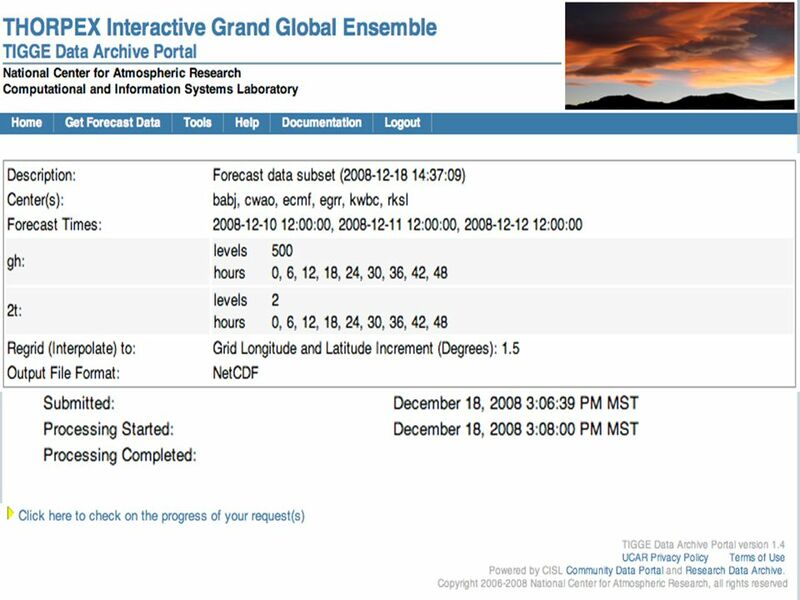 Data for Climate and Energy Studies Steven Worley Computational and Information Systems Laboratory NCAR. 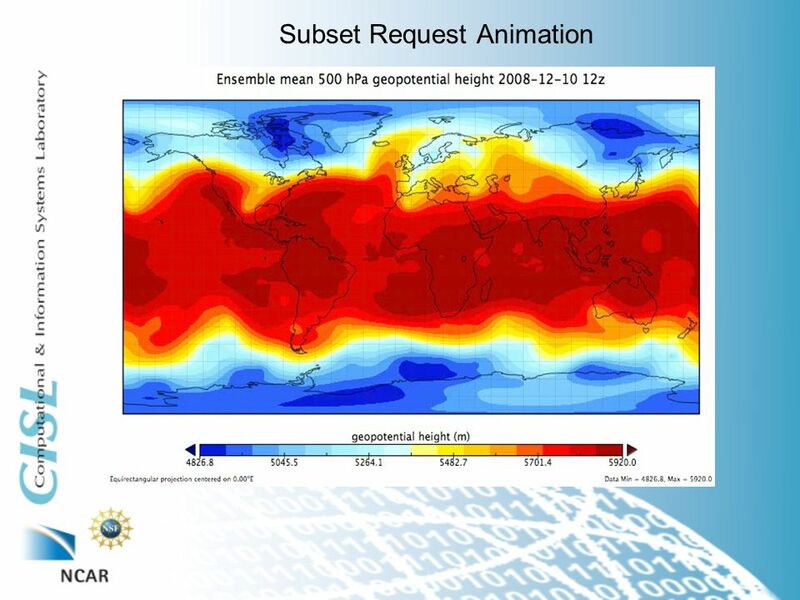 Slide 1 GIFS-TIGGE 31 August - 2 September 2011 TIGGE at ECMWF David Richardson, Head, Meteorological Operations Section Slide. 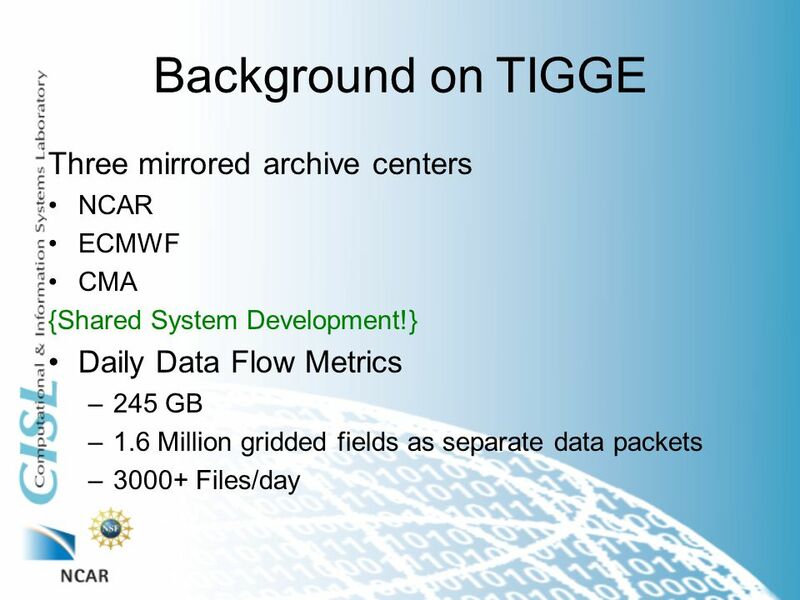 TIGGE Data Archive and Access System at NCAR 5th GIFS-TIGGE Working Group South African Weather Service Pretoria March 2008 Steven Worley Doug Schuster. 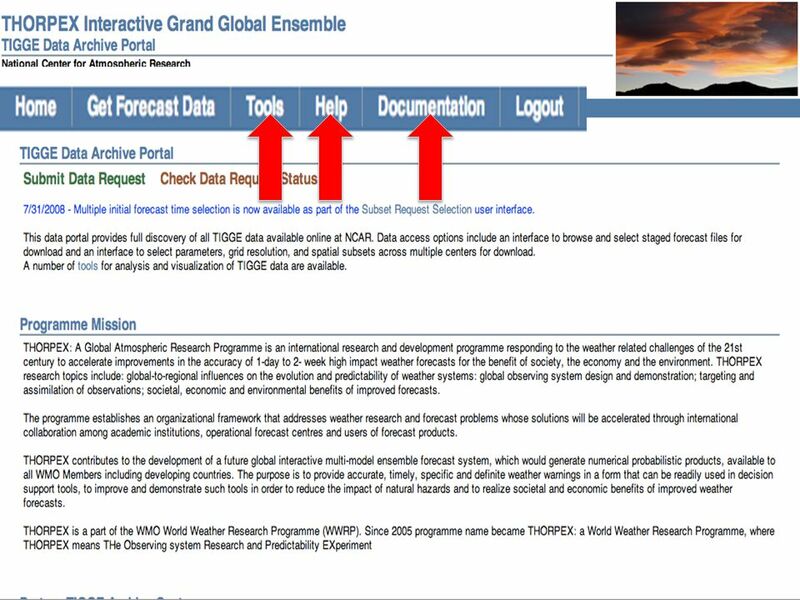 Ensemble Forecasting: Thorpex-Tigge and use in Applications Tom Hopson. 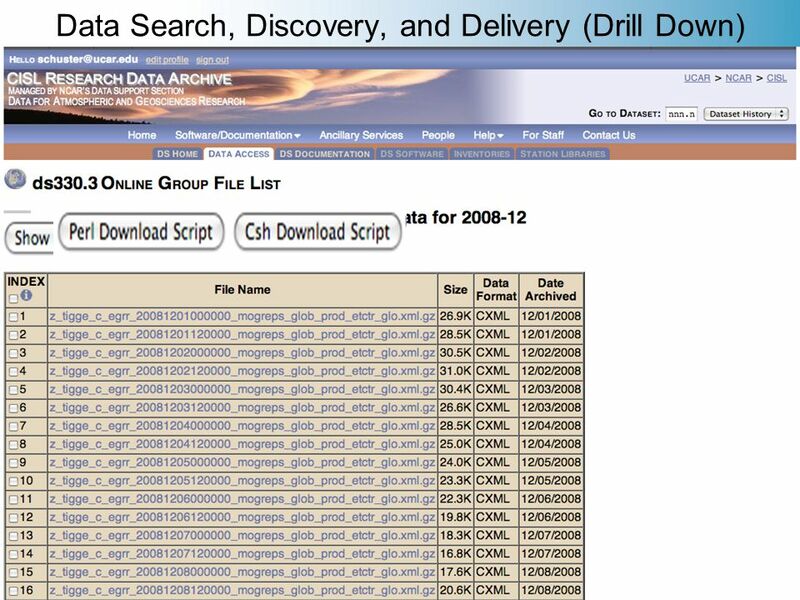 Scientific Investigations; Support from Research Data Archives for Joint Office for Science Support 26 February, 2002 Steven Worley SCD/DSS.